I don’t know much about Pokemon but living in Japan I have seen the characters quite a bit as you might imagine. They actually do sometimes called them Pocket Monsters over here which sounds quite lewd to me. I even saw a kid wearing a Pocket Monsters t-shirt today when I went out for lunch. 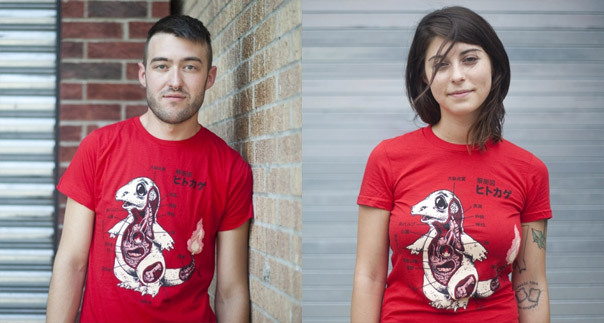 It was nowhere near as cool as these Pokemon anatomy t-shirts though. Busted Tees released their first Pokemon anatomy t-shirt back in July I think. 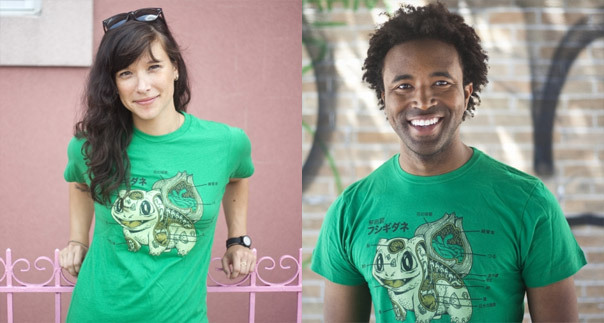 I guess the Charmander anatomy t-shirt was quite popular as not long after, another was released, the Bulbasaur Anatomy t-shirt. 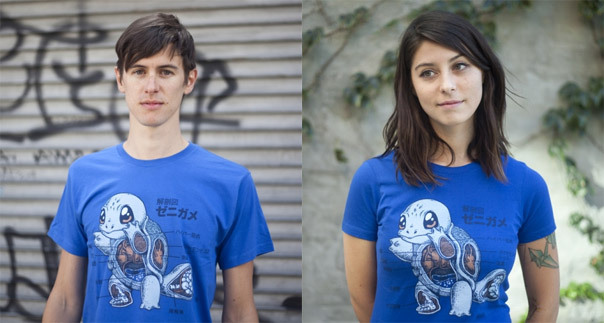 And this week the Squirtle Anatomy t-shirt was released. I think there are many more Pokemon so it is possible that the line of Pokemon anatomy t-shirts will expand at Busted Tees. You can click on these images to get a better look at the artwork on the t-shirts. If you know a little Japanese you can try figure out what they are saying.